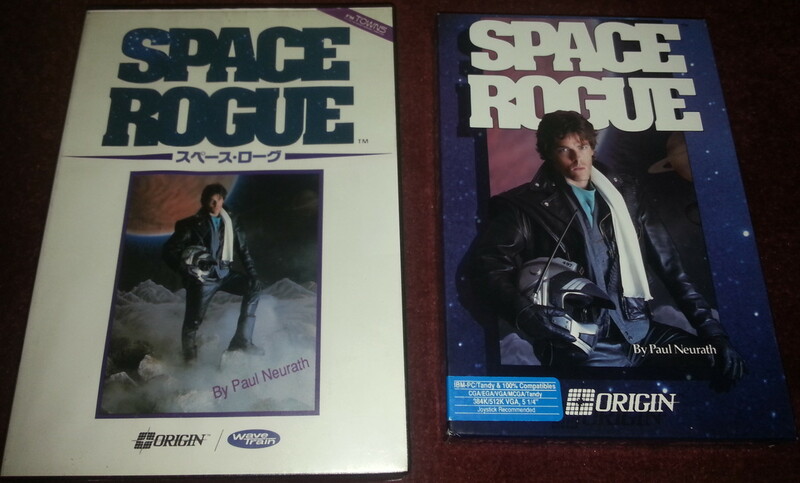 At the end of the 80’s Origin temporarily decided to do away with the great box artwork we all know and love and went for real life “actors” instead for 3 of their game covers. Space Rogue was one of these leading to this guy in his best leathers standing astride a rock on an unrealistic alien landscape. It’s clearly the same photo but the FM Towns version takes the unwise approach of showing this scene from further away so we can truly grasp just how cheap that set is. I wish they had gone the full hog and got rid of the white border so it could be fully appreciated but at least the FM Towns box is the usual plastic case that all these FM Towns games came in and far more durable than the cardboard boxes we all got. 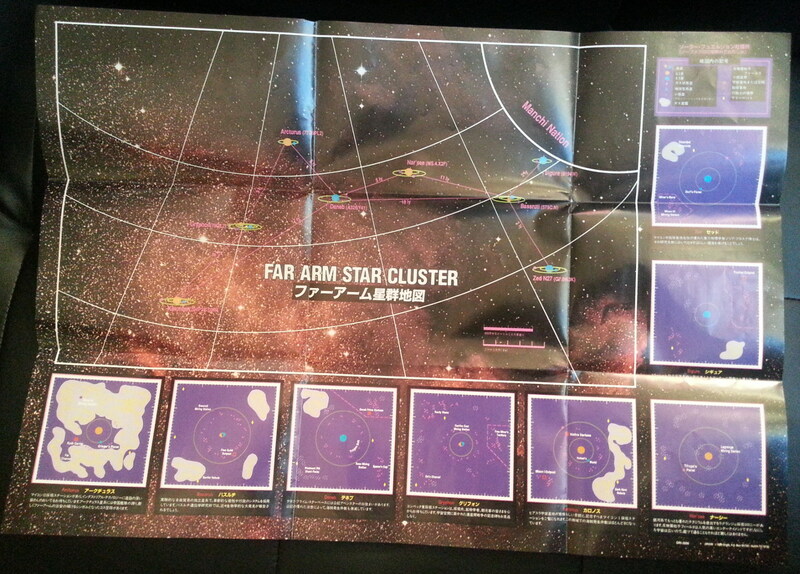 Both games come with a paper map of the Far Arm star cluster where the game takes place. These proved to be less than photogenic as far as my phone is concerned but are basically identical apart from a slight variation in colour tone and the translated text. The original manual on the left and top has a colour exterior and larger pictures on the inside. True to Origin’s usual documentation philosophy this was all done in character as a guide for owners of the spaceship and had coffee stains and annotations scribbled throughout from the previous owner/space rogue. 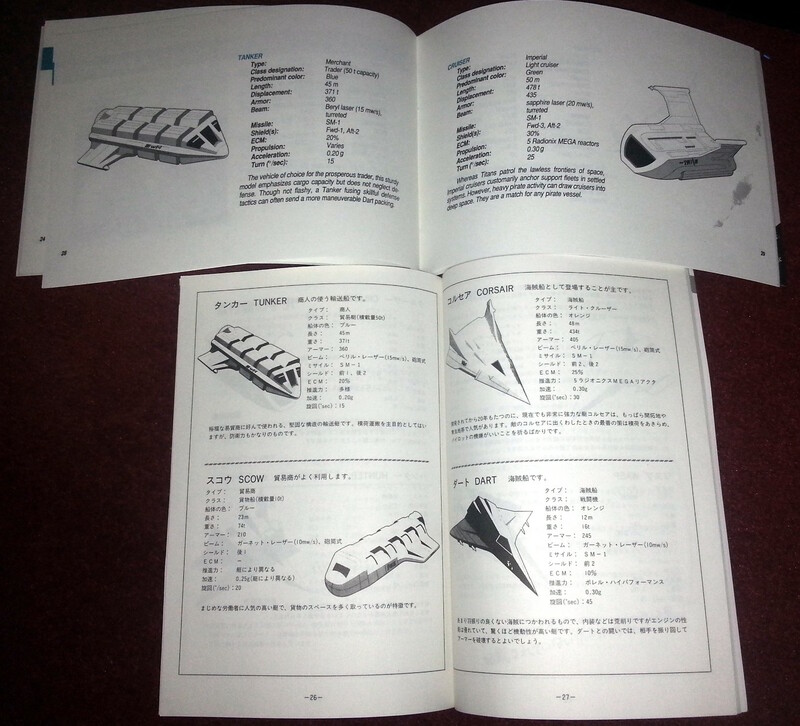 The Japanese manual is clearly a translated equivalent but squashes it all down into fewer pages. 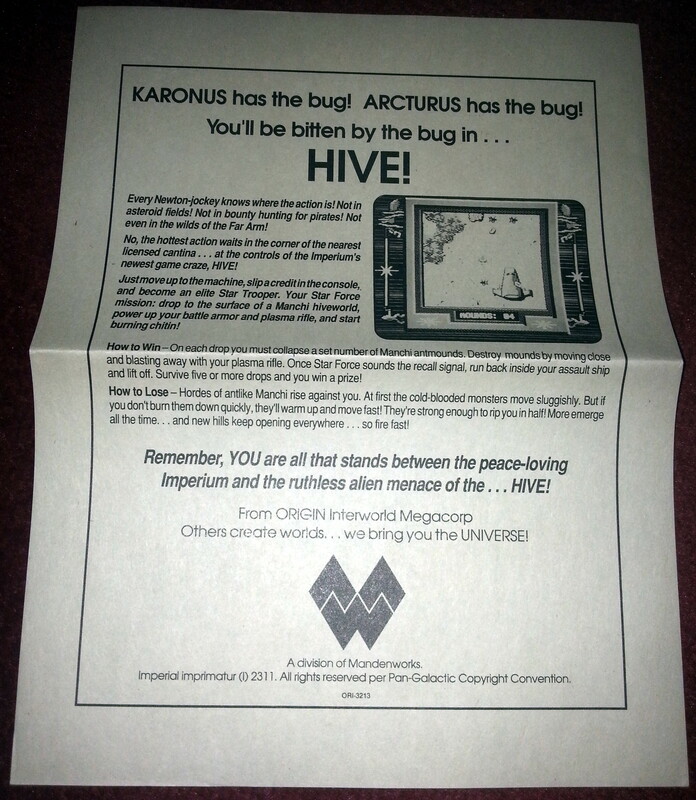 All the bars in Space Rogue have arcade machines where you can play a game within the game called Hive and this flyer was packed in to advertise the fact. 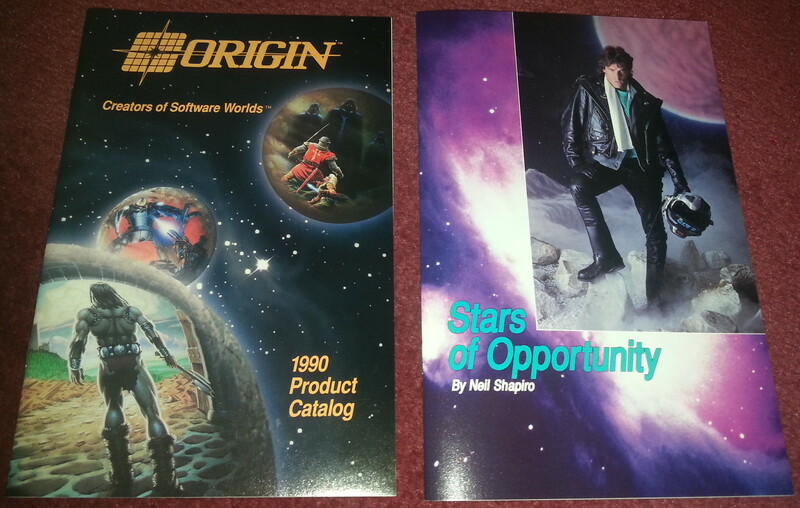 The Amiga port I’ve unboxed here had the 1990 Origin catalog and also Stars Of Opportunity, a novella written by Neil Shapiro which sets the scene for the game. The cover should give the space rogue guy a chance to prove on the cover that he is ambidextrous when it comes to standing on moon rocks but he clearly wasn’t as the photo is flipped the opposite way around judging by the scarf & background set. This novella was put into the back of the other manual on the FM Towns. 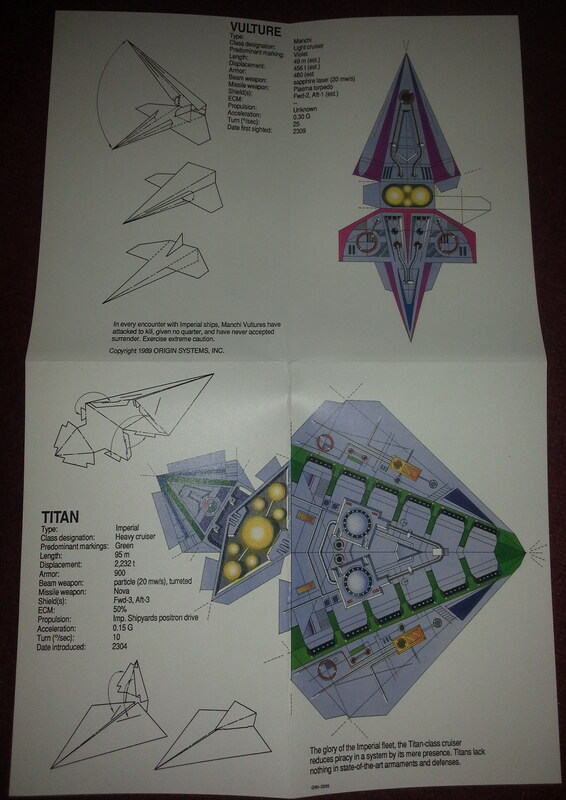 Finally, there is a card sheet with representations of ships in the game that can be cut out and glued together to make a 3D model. 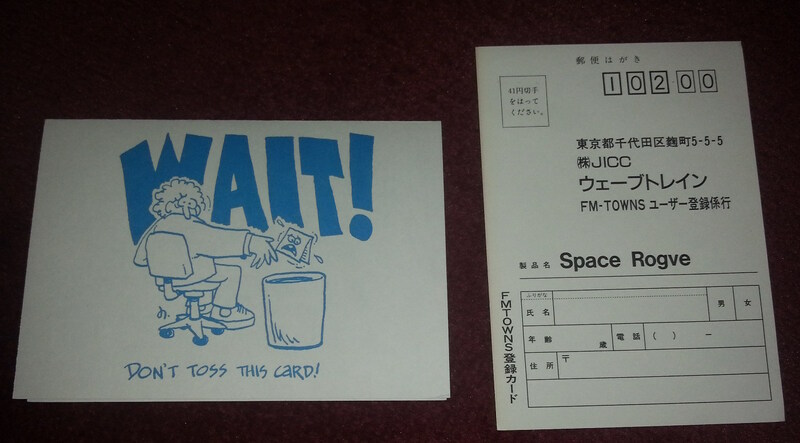 This is just the sort of entirely unnecessary extra that got me into collecting Origin games in the first place. 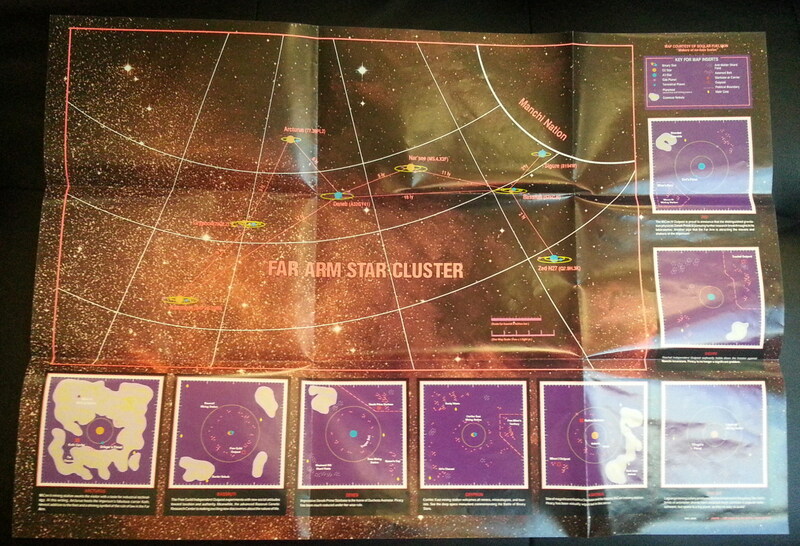 They should have included some of these with the Wing Commander games, but the models would admittedly have been far more complicated. 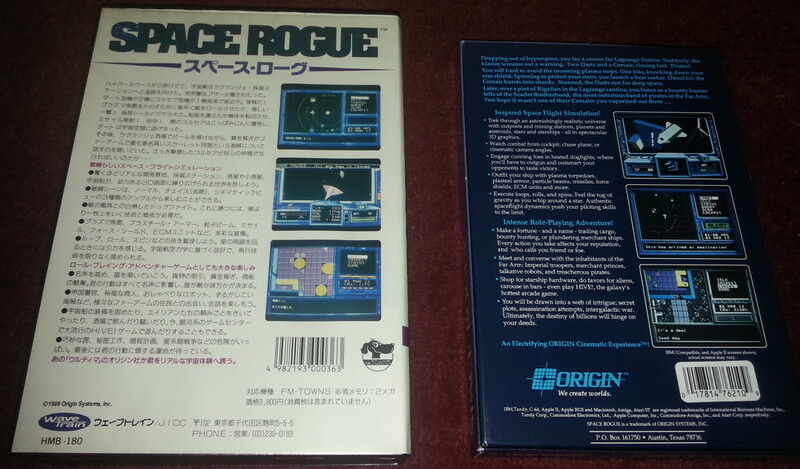 The main thing that strikes me looking through this lot is how much better quality Origin’s original packaging was. The amount of stuff packed into that small box is pretty impressive. The FM Towns had the edge in technology but we were better off in every other aspect at least as far as this game is concerned. When playing the game however, I’m sure the CD audio would have been enough to win me over on its own to the FM Towns port if I could understand any of it. 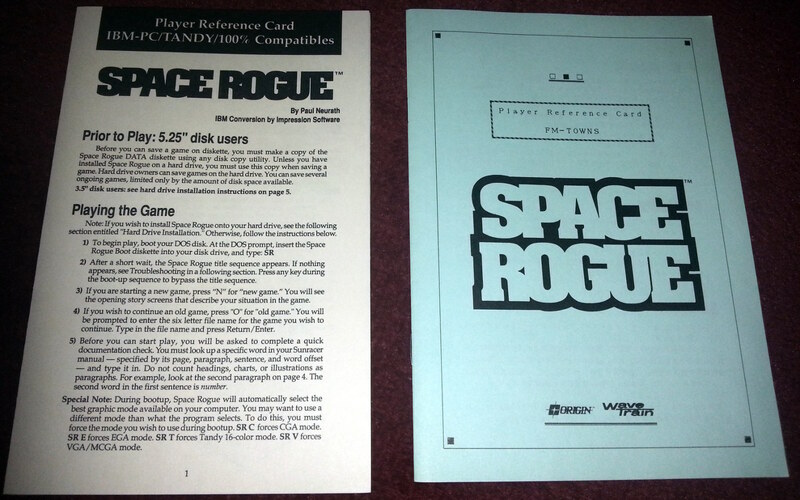 This entry was posted in Space Rogue by Pix. Bookmark the permalink.